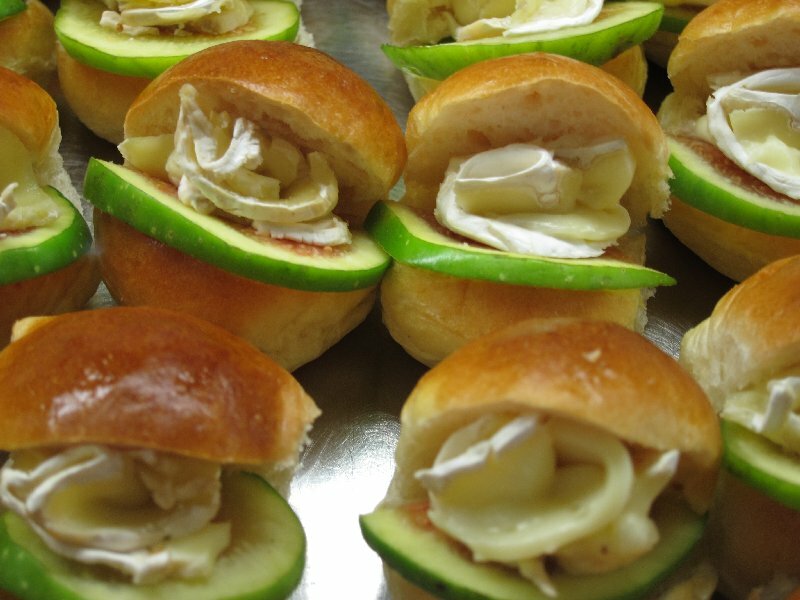 At Pasticceria Mondi you’ll find delicious mini-sandwiches; these are filled with sliced kiwi and brie, a refreshing change from your usual sandwich option. 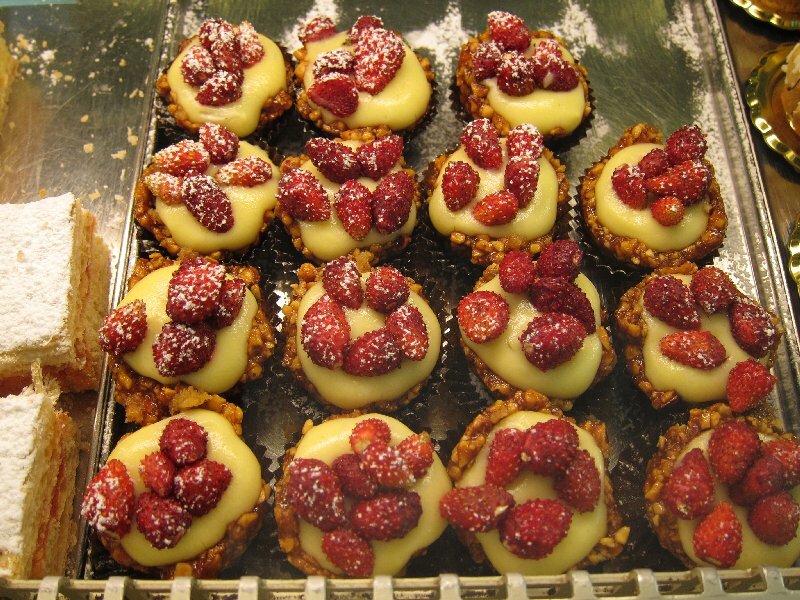 I’ve been going to the Pasticceria Mondi regularly for about twenty years now. It’s privately owned by the Mondi family who reside near Bevagna in Umbria. 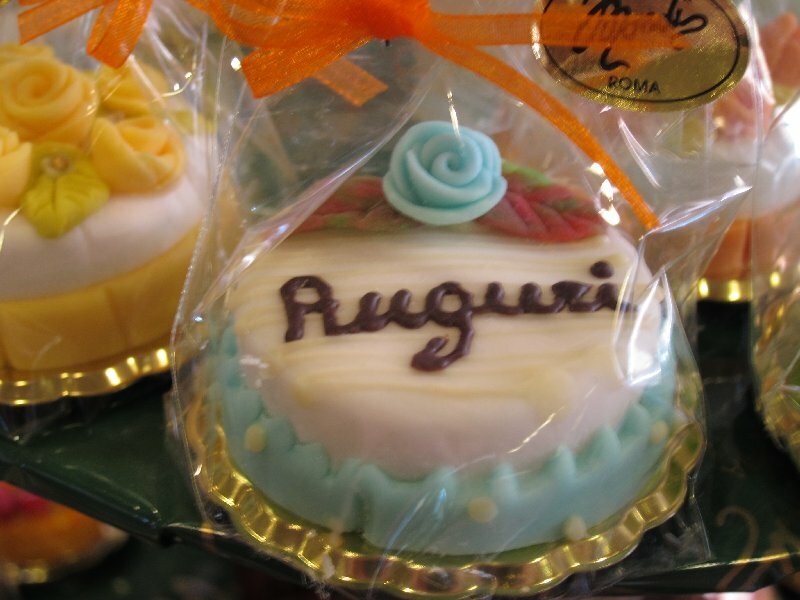 The pastry chefs who produce Mondi’s edible works of art have mostly started off as young artisans within the pasticceria and made their career there. 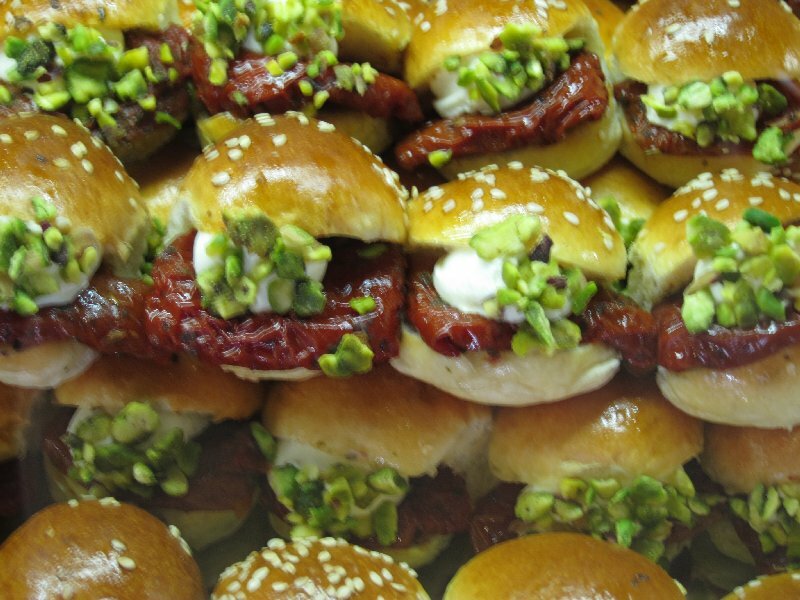 Some of the most incredible things Mondi produces are their mini sanwiches (like tiny sliders) and bite-sized pastries, both so intricate and elaborate that when photographed it’s hard to tell they are not full-sized, unless you hold one in your hand or place one next to a full-sized sandwich or pastry. 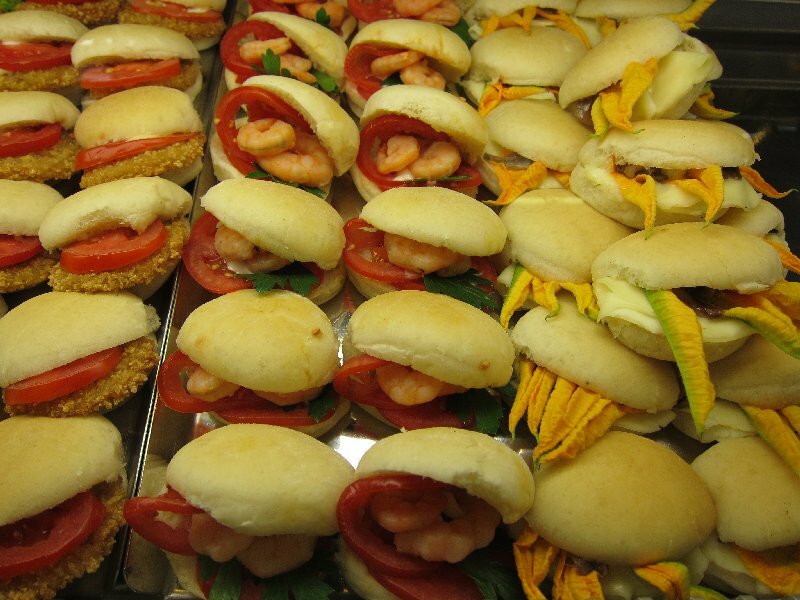 Mini sandwiches filled with tomato & shrimp, zucchini flowers & mozzarella and sun-dried tomatoes with a soft cheese & ground pistacchio nuts…. 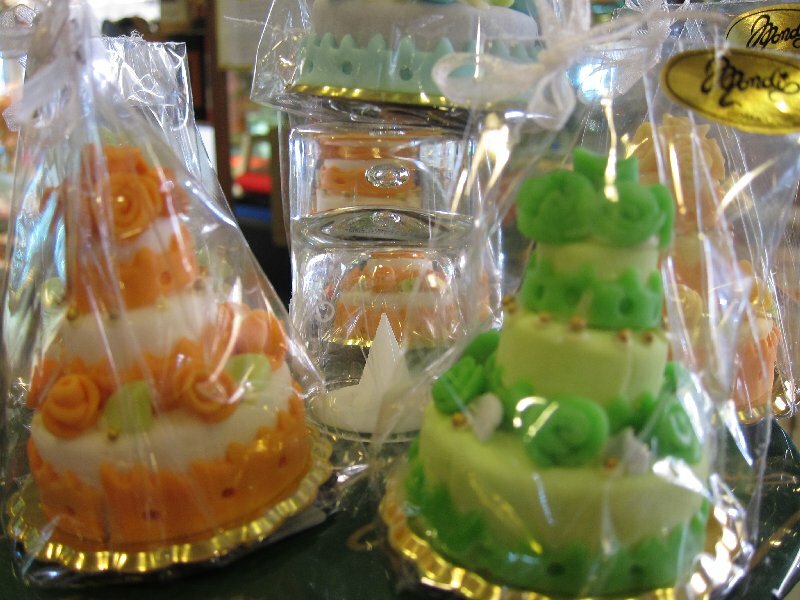 At the cash register you’ll find a selection of mini gift pastries: miniature birthday cakes and seasonal items like Easter baskets and Christmas packages. 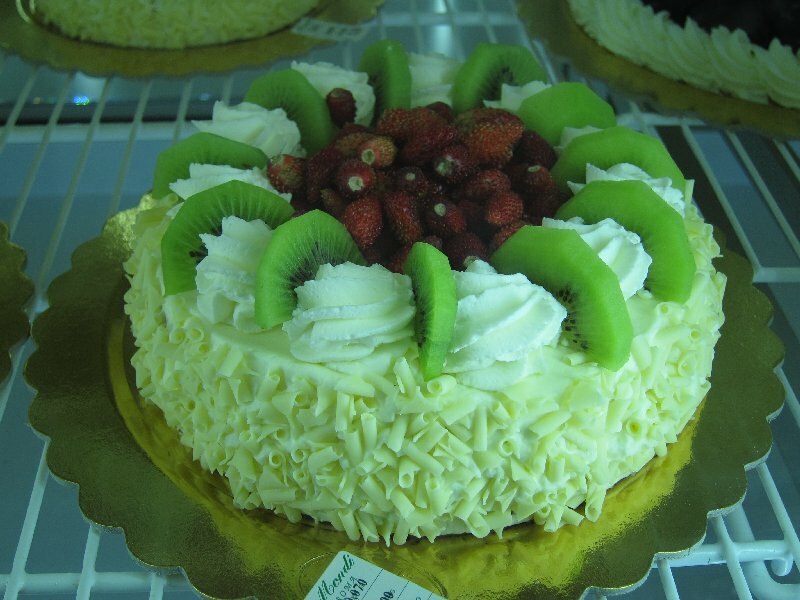 Although these cakes are only several inches in diameter they are so elaborate that they look full sized. 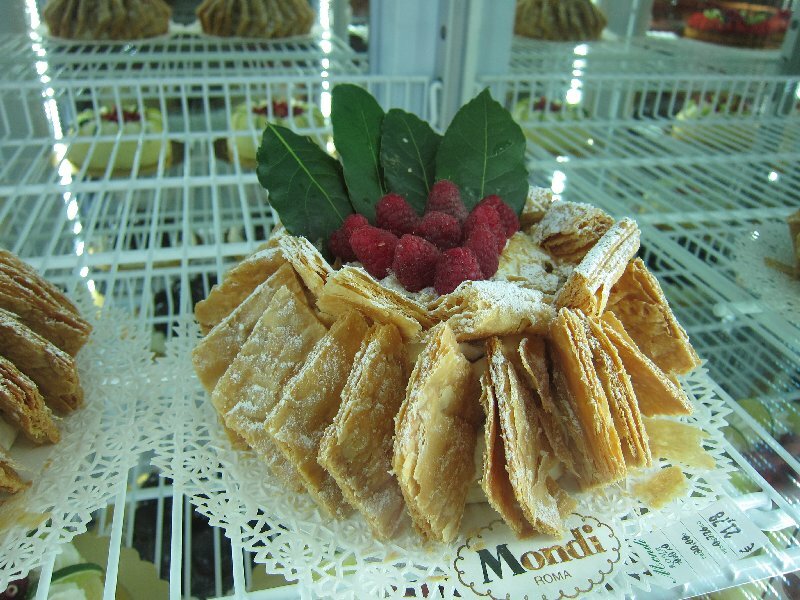 It’s not all about the mini pastries at Mondi. 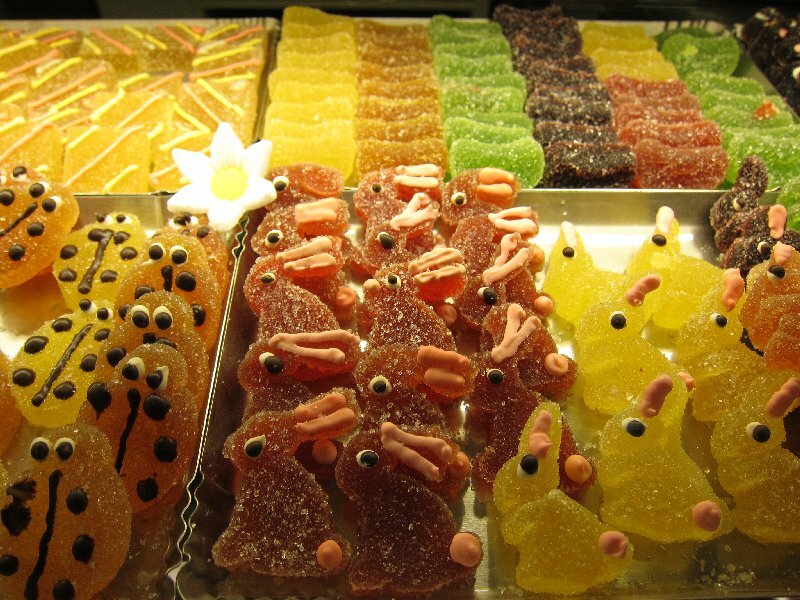 Some of the regular desserts are spectacular looking and beautifully crafted, and the temptation to purchase is nearly overwhelming. 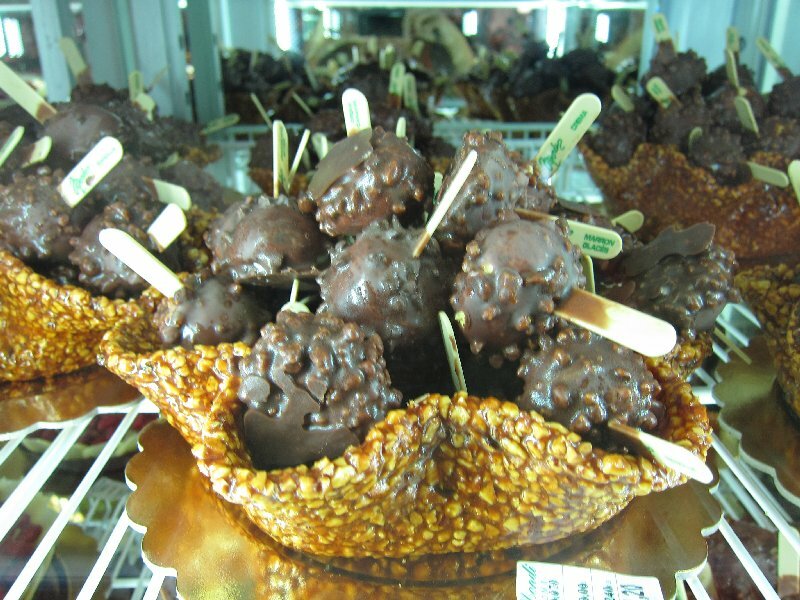 These caramelized nut baskets are filled with portion-sized desserts dipped in dark chocolate…. 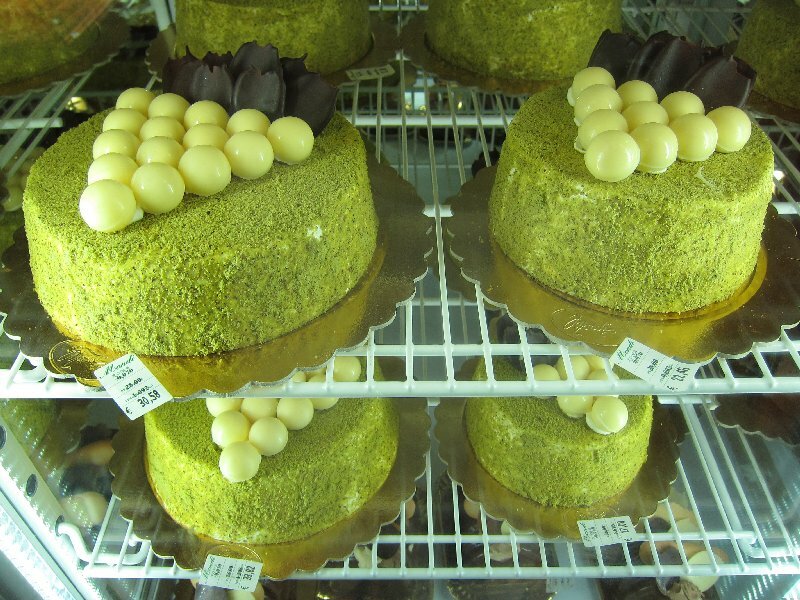 This cake, probably filled with some type of pistacchio cream, is covered in ground pistacchio nuts….